ESSERE VS STARE. What’s the difference? I often happened to be asked by my students what is the actual difference between the verbs ESSERE and STARE, as they both can be translated into one single verb in many other languages (French, English, German, Polish…), that is to say TO BE. 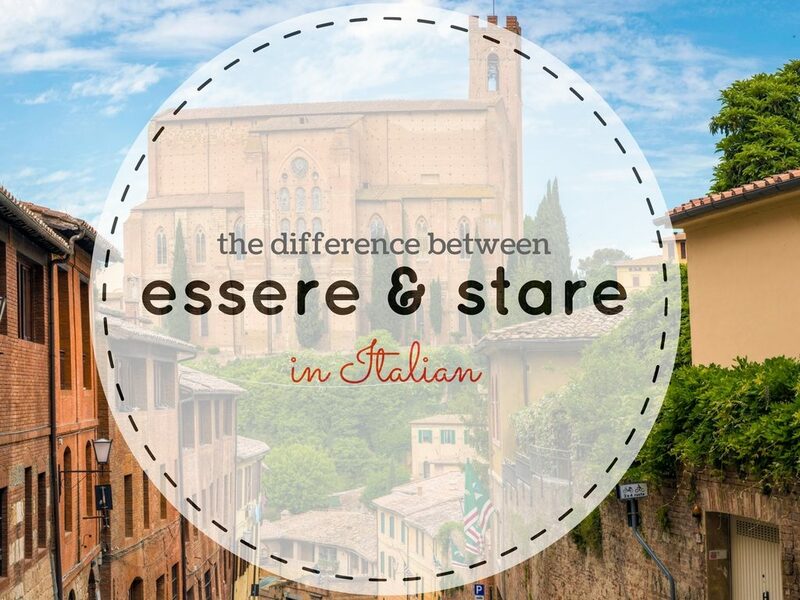 Let’s start from clarifying that the Italian translation of ‘TO BE’ is truly ESSERE and that STARE is used in the place of ESSERE just in some idiomatic expressions. yourself and your nationality: sono Serena e sono italiana. your job: sono un’insegnante di italiano per stranieri. physical appearance and personality: sono alta e simpatica. describing locations: Roma è una bella città. describing objects: la mia casa è grande e luminosa. locating objects: dove è la mia borsa? E’ sulla sedia. ESSERE is often followed by an adjective or a noun. Esci o stai casa stasera? Sto a casa perché sono stato in ufficio tutto il giorno. In many expressions stare and essere are interchangeable. There is a subtle difference between them though. ESSERE would rather state a quality or being statement while STARE would rather indicate a a voluntariness in the action described.